I love safaris, there is something surreal about being so close to mighty animals. We still have to save up enough to get us to and through a week in Africa but it is on our list. If you have ever been on a safari, you would agree with me on one point for sure. The animals look majestic in real life, in their natural habitat. Zoos have nothing on national parks and wild habitats. I am from Rajasthan, which means I grew up with an occasional Elephant on the street few times a month, but nothing could have prepared me for the beauty of a wild elephant. This mother with her cub in Kaziranga National Park was much more than what I could have imagined. We were far away just like we were far away form the Rhino mother and her cub. They did not fail to impress and did strengthen my desire to go for Big Five African Safari just like the one up in the prizes. 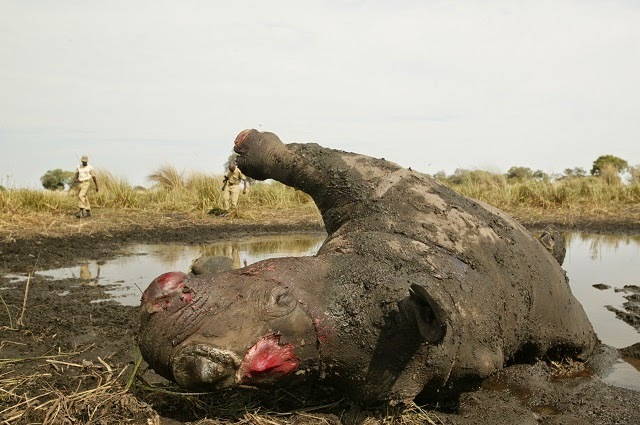 Well that might never happen, and at the rate these poachers are going on it is a very big possibility that the Rhino we spot might be the last of its kind remaining. Oh you thought our kids would see one and be as amazed as we were? Doesn't look like a real possibility unless you help and that help can get you some really cool prizes, a 10 day Galapagos Tour with International Expeditions worth 5298$ or a Big Five African Safari with Adventure &Life for 2 worth $5000 waiting to be claimed. For offer are two really tempting stays, a seven night stay in Barbados and a 10 night spa stay in Nicaragua. 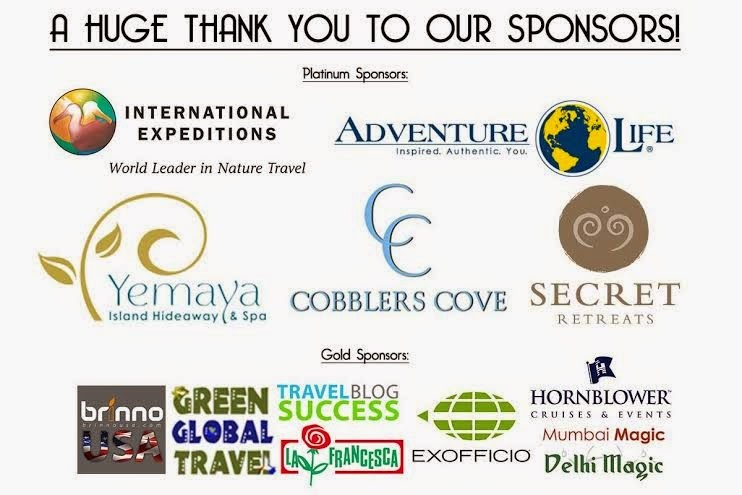 Add to that vouchers from Secret Retreats for stays in South East Asia and you have most travelers ready to donate, not only to support a cause but also to stand a chance to win these and many other prizes. 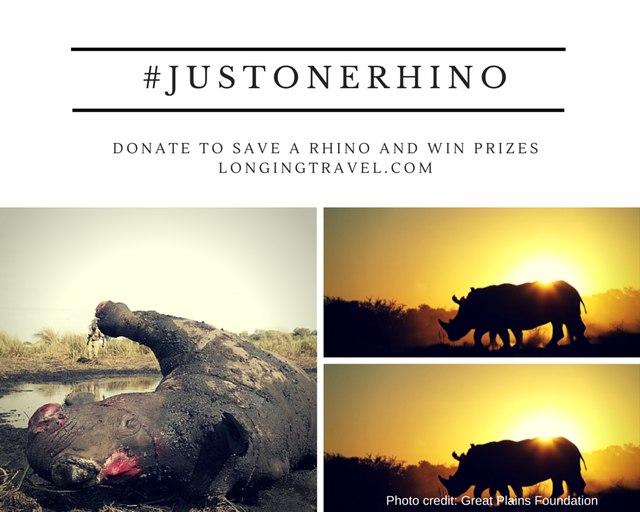 #JustOneRhino is a campaign to support Rhinos Without Borders a project which is working to translocate 100 rhinos from South Africa to Botswana to protect them from the tragic rise in poaching. Botswana has one of the best policies and anti poaching laws in Africa. Moving these animals who can weigh up to 3 tonnes is not an easy task or cheap for that matter. Every step requires security and precision or else you would lead Rhinos to their certain death. I had been ambivalent about the #JustOneRhino campaign, I knew it is a step in the right direction but I wasn't sure if I felt strong enough that I would put it up on my blog. This image changed it all for me, now it was not something I had heard about it was on my screen and it is tragic. For me the absence of the horn makes it far more scary had it just been a dead Rhino. This was what tipped the balance for me and I hope it does for you too. They are being killed because of us and I know none of us want deaths on our conscience. It is the same as Human Trafficking in some ways, many suffer so that select few can get what they want, and for those benefiting nothing apart from their own well being matters. 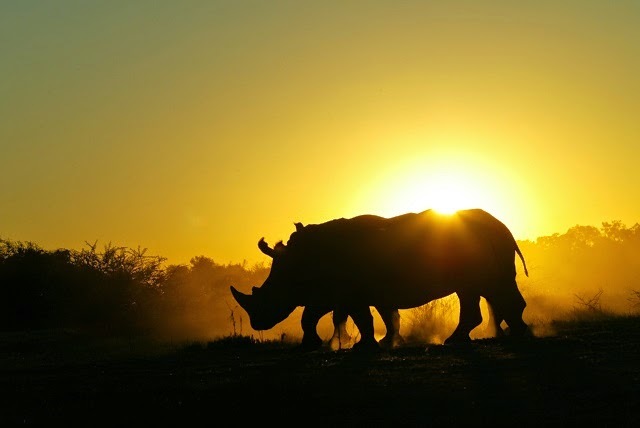 What does travel have to do with saving a Rhino? A lot actually, travelers make the biggest impact, they bring news and traditions form other lands, they cause change. Jeremy Scott Foster from Travelers Building Change put it in the best way possible. "After taking some time to reflect on my years of independent travel, I realized how much of an impact the altruism of strangers had on my experience. I had entered into numerous communities as a stranger and felt genuinely cared for and looked after. When I realized that many other travelers felt the same way, I vowed to find a way to give back to the communities that had nurtured us on our travels." Now for the gifts we were talking about well they are awesome and not just that you can win one by pitching in as little as 20$(1200 INR) that's less than what you spent on drinks this New Year and definitely less than the flights you will be taking to go on those tours. Here's a sneak peak of those prizes. And even if you don't win anything you will still get rhino backgrounds for your computer as well as a DIY Origami Rhino. Stop! this is more than winning prizes it is perhaps the earliest chance this year to do something good. We all give away some amount to the less privileged or for a good cause, let this be what you do this year. There are some awesome agencies who have helped the campaign to reach so many people with their contribution. That is a noble initiative.